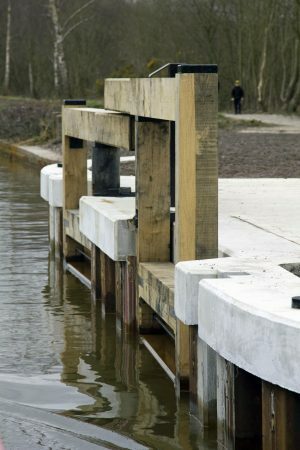 I recently blogged about the new stop gates being installed on the Leigh Arm of the Bridgewater Canal. Tom & Jan on Waiouru have cruised through the re-opened canal today and been kind enough let me have photos of the finished work, with permission to publish them. 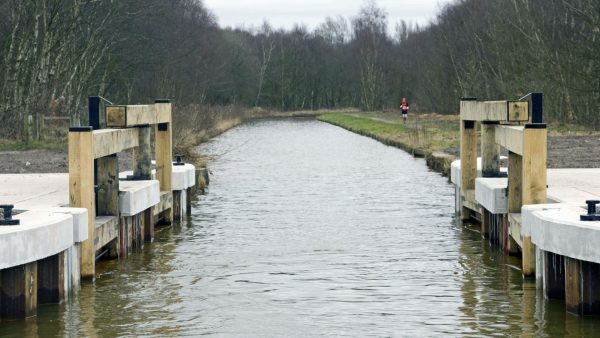 I wonder what the mooring bollards are for. Perhaps they will be handy for workboats when maintenance is being carried out. The new stop gates have overlapping beams at different heights, although there is very little clearance between them. It will take very little warping with age before they start touching each other and I wonder how long it will be before adjustments are required. There are grooves for stop planks to be inserted so work can be carried out on the gates. Hopefully that won’t be needed too often.